Colima artists are known for their lively representations of animals, particularly dogs. Mexican hairless breeds such as the Xoloitzcuintle (show-low-eats-queen-tlee) were domesticated and raised as a source of food. They also had supernatural importance and were thought of as guides and companions for humans in the afterlife. 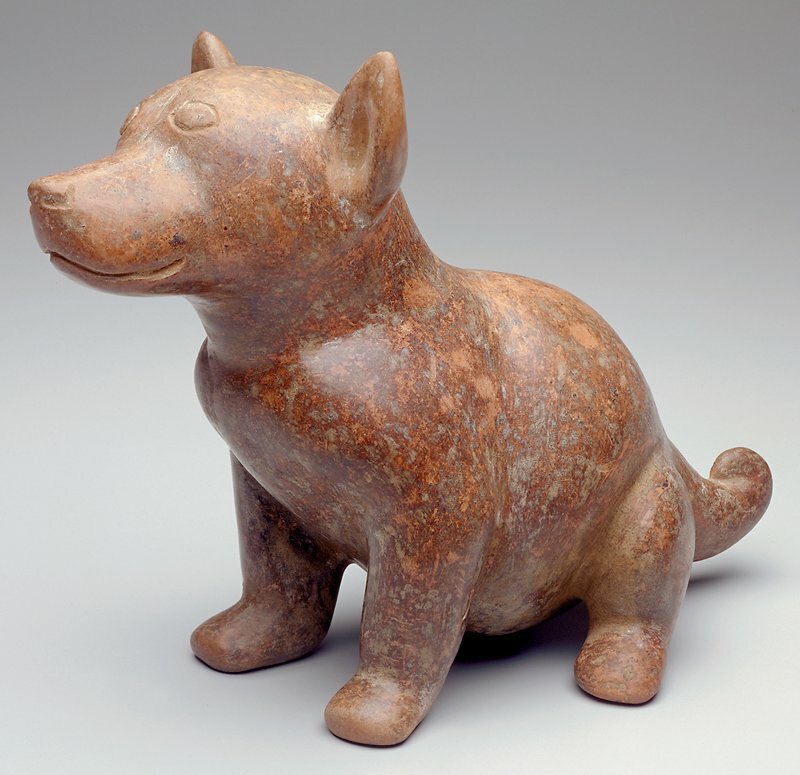 Colima burials frequently contained dog effigies, along with other provisions for a comfortable afterlife.